Thanks everyone for the encouraging comments about our travel photos. It may have looked like a picture-perfect trip - but can that really happen when you're travelling with a toddler? I don't think so, at least not with my toddler. Nope, we had the inevitable freakouts on the plane, some upset tummies getting used to food and drink in a new location, and the screwed up sleeping patterns (and I'm not just talking about Chloe, ha!). It can be hard to find good meals when you're travelling, especially if you stay in a heavy tourist area and are surrounded by bigger chain restaurants serving less than tasty grub. You can ask the hotel staff for recommendations on where to eat but more than likely, they won't be directing you to the best spots, the places moms, dads, and kids go to get a good meal. 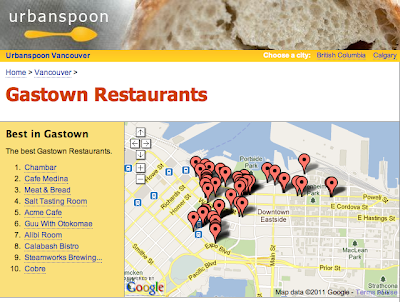 That's why I rely on urbanspoon.com when we're away from home and craving something yummy to eat. 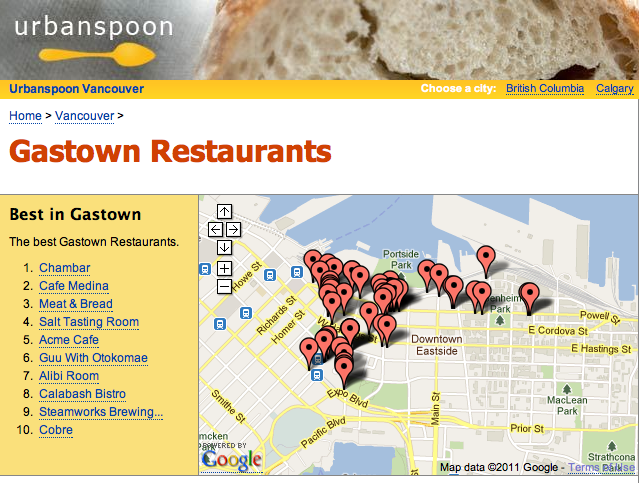 They have a great app you can search on the go by neighbourhood, type of food, price, or special interests (kid-friendly!). User reviews and photos tell and show you what the food is really like. It has never led me astray. That's how we ended up having THE BEST lunch at Acme Cafe in Gastown and a perfect pre-Nate Show breakfast at Sarabeth's in NYC. This little roll-up placemat is seriously one of the best inventions ever. We take it everywhere - to Grandma's house, to the picnic table, to our favourite sushi restaurant. Chloe does a good job at feeding herself but is still working on trying to keep her food on her plate. At some point, she will try to eat food that has fallen on the table and this ensures she's at least eating off a safe, clean surface. I like that I can pile the California rolls right on it and let her go to town! It has suction cups to hold it in place and a tray to catch the drips and drops. Genius! 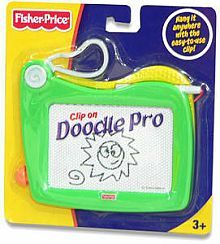 I bought a mini magnetic doodle board like this one at the Dollar Store. Chloe has been playing with it since she was a year old (and understood not to eat the pen!). 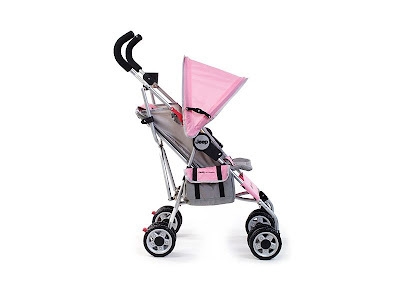 Its perfect for travel and it keeps Chloe entertained when she's in the stroller, carseat or sitting at the restaurant table waiting for her food. She loves to draw and I kinda prefer this to crayons and paper when we're out because there's no mess or constant picking up of crayons involved! We were lucky enough to stay with friends while we were on vacation (that's M and her cutie son J waiting with us for the Beluga Whale show to start). J and Chloe were at the age where they still like to play with each other and share toys. I can't tell you how awesome it was to have J entertain Chloe leaving us adults time to catch up and just have some relaxing, down time. If you're able to meet up with friends during your vacation, do it. Everyone will welcome the company. Speaking of company, I was able to meet up with these two lovely ladies during our trip. 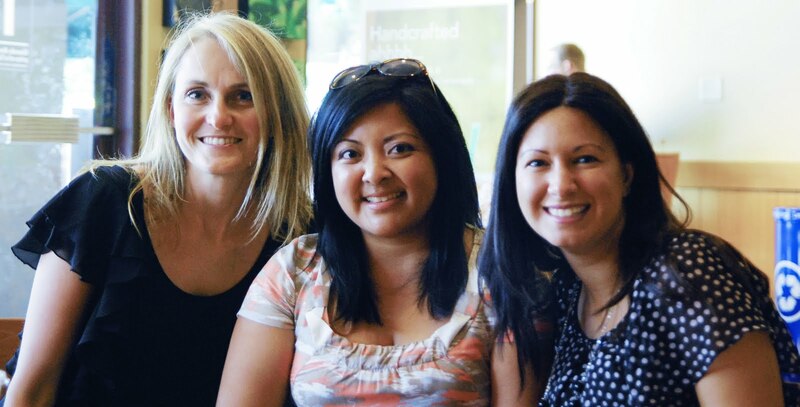 Barbara from Hodge:Podge and Nancy from Marcus Design are two of the sweetest bloggers you ever could hope to meet. HandyMan was a dear and went off with Chloe to explore New Westminister while we bloggers chatted and chatted. I think we barely took a breath, we had so much to talk about! I loved hearing about the Vancouver design scene and all the great things going on with Nancy and Barbara. Hopefully they'll make it out east sometime soon! Now this is entirely my personal experience, but there are times when the only thing that will calm my fussy/cranky/hyper 2-year-old down is a 20 minute Dora video on my iphone. Chloe is one of those extremely active children who is on the go from sun up to sun down. I love that about her but its not so good when you're spending hours in a car/ferry/plane/sightseeing. She won't sit in her stroller for more than 10 minutes at a time, rarely sits patiently before or after meals, and is still at the age where running away from mom and dad, hiding in clothes racks at the store, or dashing down the sidewalk towards traffic and other pedestrians is a really fun game. And when you're dealing with that on vacation 24/7, it can get tiring and all you want is for your little one is to PLEASE SIT DOWN. A video on a portable DVD player, a handheld computer, a flashcard game on an IPad... they can give you that 15 minutes of silent bliss, I tell you. Any other travel tips you parents can share? We still have some vacations left this year and it wouldn't hurt to have a few more travel tricks up my sleeve.